Assessments provide a powerful platform for individuals to gain deep insight into various different aspects of themselves. Alongside a coaching or training intervention, they can greatly speed up the process by providing a depth of new awareness about key aspects that need to be developed or amplified from the get go. Star Leadership offers several assessments, all deeply aligned with taking individuals on a personal development journey. A tool to develop SQ and EQ and enhance powerful communication in your organisation and with your Self. More than a personality typology, the Enneagram is actually a profound map that illuminates the nine different architectures of the human personality. It is also the most powerful and practical system available for increasing emotional intelligence, with insights that can be used for personal and professional development. Emotional Intelligence (EQ) is fast becoming the single greatest predictor of success in every occupation and industry across the globe, outdistancing IQ and on-the job experience. Because the Enneagram is cross-cultural and highly accurate, with many work-related applications, it is currently being used by organisations worldwide to help employees and leaders in the following areas: communication, conflict, feedback, teams, leadership, strategy, decision making, self-mastery, coaching, and more. Professionals in the people business have always known that happy employees are the better performers at work and now we’re actually able to prove the link between Happiness at Work and performance. The model gives companies a tangible way to tap into the Happiness at Work elements (commitment, contribution, conviction, confidence and culture) and drive performance upwards by focusing on the psychological capital of their people. 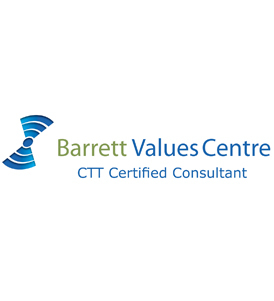 The Cultural Transformation Tools (CTT) are one of the most detailed and comprehensive cultural diagnostics and values assessment instruments commercially available, to leaders, consultants, and coaches. The Cultural Transformation Tools are designed to support leaders in building high-performance, values-driven cultures that attract and keep talented people and increase staff engagement. 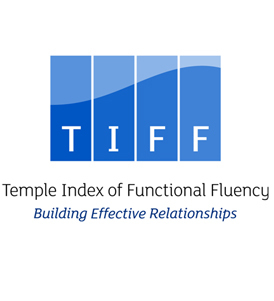 Functional Fluency is a model for understanding how people behave, and a practical framework to help them ‘respond’ more and ‘react’ less.